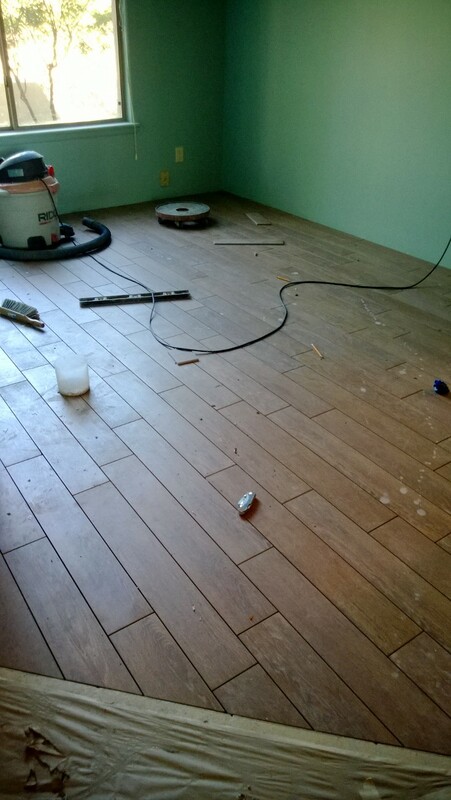 Living Room Floor is finished! Even though a lot gets done every day… sometimes the progress just doesn’t photograph well. Maybe it just looks the same to me because I see it everyday. 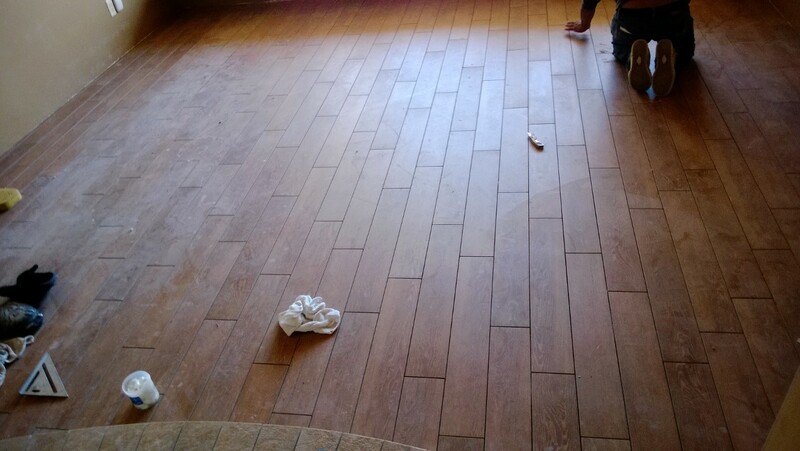 The living room, dining room and office have now been finished with a wood-look porcelain tile that we installed with random staggered grout joints. They’ll grout in the next day or so. I picked out all of the colors today, but kind of forgot to review them with the client. They’re perfect, so I might just move forward with them. 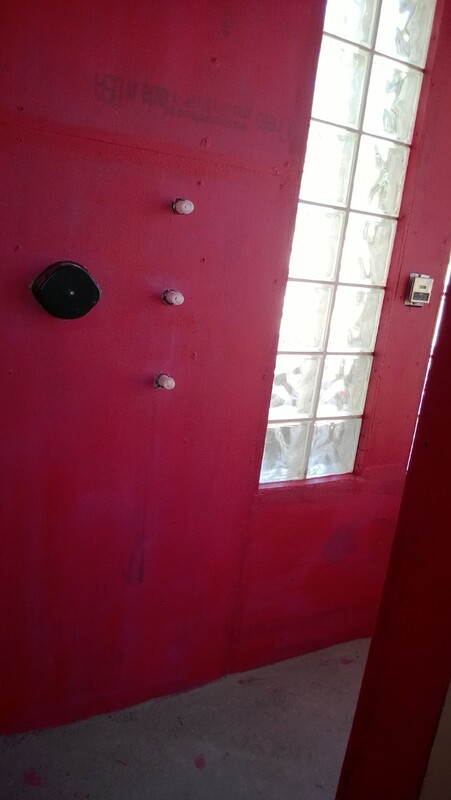 Not that we designed a hot pink shower, but this installation will be beyond waterproofed with two coats of “Red Guard”. It’s a really heavy latex coating that goes on like paint, but is kind of like filling your hand up with Elmer’s Glue and letting it dry. It doesn’t peel off, of course, but it’s rubbery. Next Post Fun with Glitter! Wow! 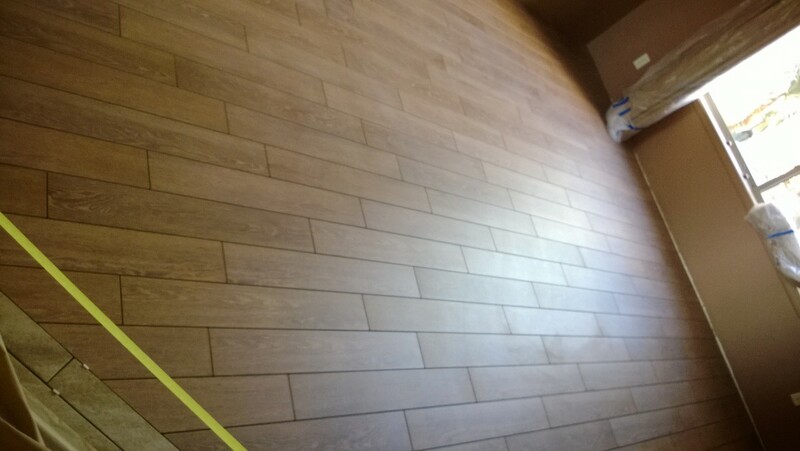 That wood look tile looks awesome! I love it- this particular brand looks very real and it’s incredibly economical. Not to mention that it won’t scratch under the doggies toenails!